Are you looking for something new and fun to sew? Well, Easter is coming soon, and I’ve already decoratedd the house with a few bunnies and baskets, but since my grandkids are coming, I really wanted to add a little more in terms of cute Easter decor. 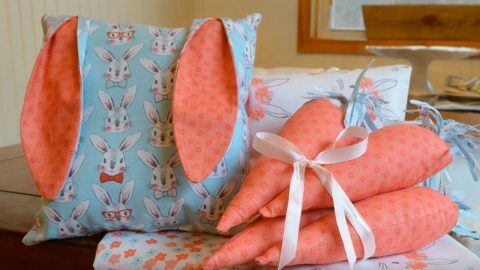 I just found some easy sewing projects that are super cute and enjoyable to make, as done of them are very difficult. My favorite one is the set of jumbo carrots, and my grandkids love playing with them. Hint: Make at least as many as you have grandkids coming for Easter.